Bold Side of Flavor Proudly nestled on the Oregon-Idaho border, Ore-Ida potato experts have been serving locally grown taters from the heartland of potato country since 1952. 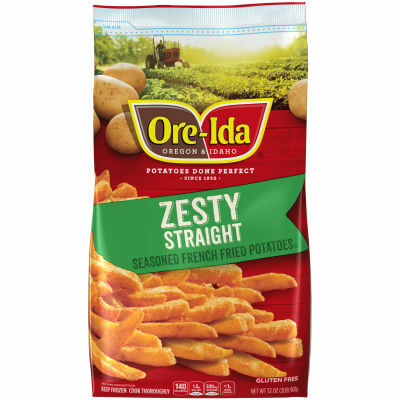 Now with Ore-Ida(r) Bold and Crispy Fries, the classic Ore-Ida quality you love is in adventurous flavors you crave! Every bite contains over 60 years of french fry craftsmanship and experience, generously seasoned with flavor. If it's not Grade A, it's not Ore-Ida! Serving size 3 oz (84g/about 12 pieces).